I use computer inkjet pigments and specially treated fabric to print photos and drawings on fabric. 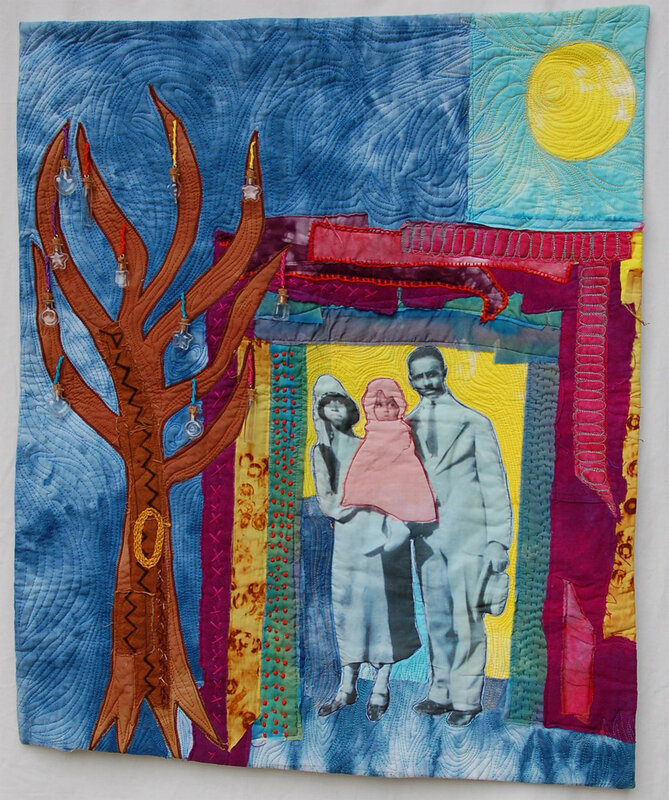 These quilts are a wonderful way to celebrate people and events in our lives: birthdays, anniversaries, reunions, and memorials. You provide photos, slides or a CD with digital images. Photos are scanned onto the computer where they can be manipulated and printed on colorfast fabric. I create an original, unique art quilt incorporating the photo within the work. All original photos are returned to you unchanged. Allow 4 to 6 weeks for completion. These prices do not include shipping. A non-refundable deposit of ½ the cost is required when placing order. To talk with me about commissioning a piece, click the button below.